Strokkur is a fountain geyser in the geothermal area beside the Hvítá River in Iceland in the southwest part of the country, east of Reykjavik. 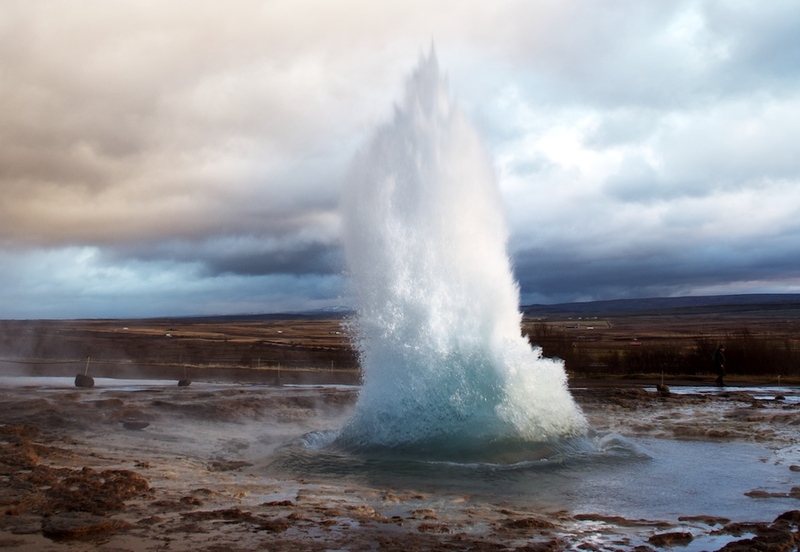 It is one of Iceland's most famous geysers erupting about every 4-8 minutes 15 - 20 m high, sometimes up to 40 m high. 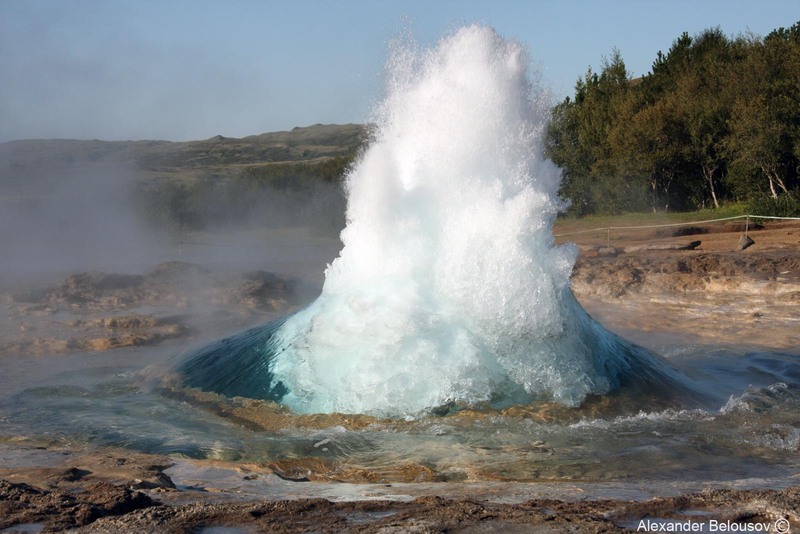 When The Great Geysir was created, it is believed that its creation it was around the end of 13th century when a series of strong earthquakes and the eruption of Mt. Hekla hit Haukadalur valley where Geysir is located. Even though the Great Geysir is now inactive the area surrounding it is geothermally very active and with many smaller hot springs. 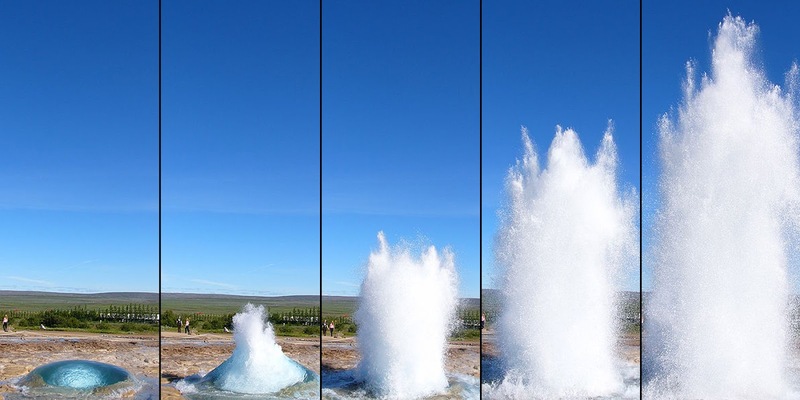 The main attraction now is Strokkur (The Churn). Strokkur is another geyser which erupts regularly every 10 minutes or so. Its white column of hot water can reach as high as 30 meters up in the air. 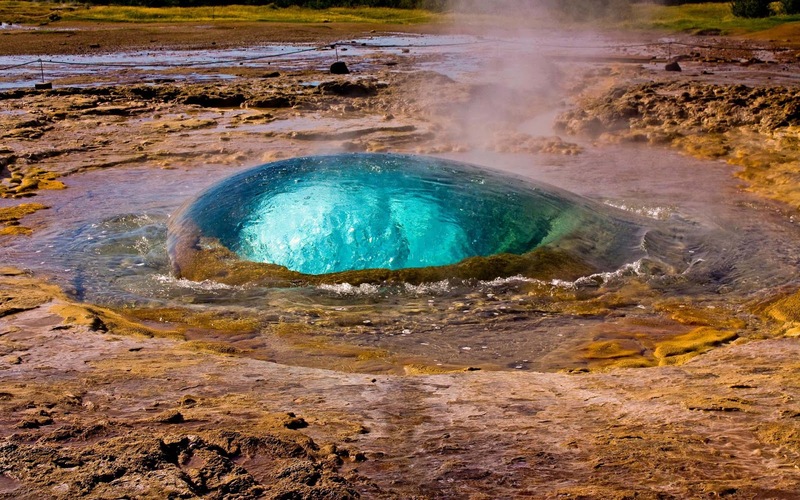 The whole geothermal park is sitting on top of a vast boiling cauldron, belching sulphurous mud pots of unusual colours, hot and cold springs, hissing steam vents and primitive plants can all be found there. Why Global Warming is Adding Ice to the Antarctic?! A small place with so much beauty and wild places.